Superb Tooling, Inc. was founded by Ron Buechler in 1985, in the community of Ferdinand, IN with the idea of providing customers with the quality and service that wasn't available by our competitors, while keeping prices low and competitive to lower costs for our customers. 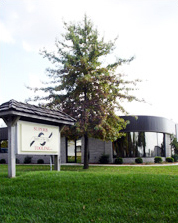 In 1990 we moved to a new state of the art facility and in 1999 we doubled the square footage. Then, in 2001, we grew to need another addition. In spite of all of this growth, keeping our customers happy is our number one priority. To date, Superb Tooling, Inc.'s customer base has grown to include some of the largest manufacturers in North America and has expanded to serve the global market. We have a large inventory of in stock merchandise for immediate delivery and we have highly skilled technicians to provide custom tooling to support your needs. Superb Tooling's vision is to continually improve tooling design and manufacturing processes to make customers more profitable in the ever changing global economy.